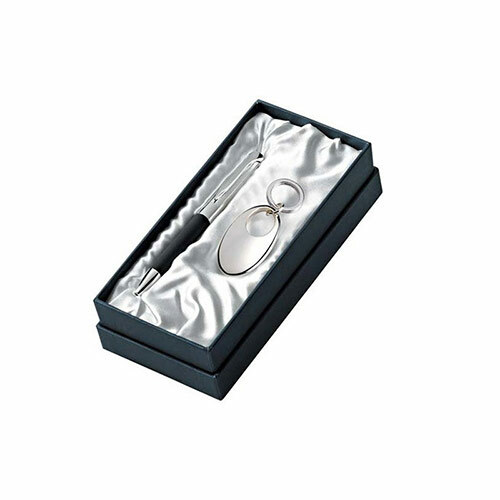 This stylish executive gift set features a matt black and silver plated ballpoint pen and a silver plated keyring set in a fully lined presentation box. They offer outstanding value for money as corporate gifts, incentive gifts or as promotional merchandise. These presentation gift sets are offered with bulk order discounts (see price matrix, above), free engraving and low fixed price UK delivery.